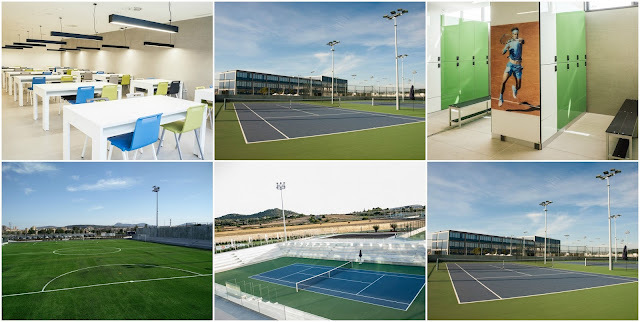 There are quite a few tennis academies in Spain. The Iberian Peninsula nation is home to the Bruguera Tennis Academy that was put up by former Spain Davis Cup captain Lluis Bruguera and two-time French Open champion Sergi Bruguera. There’s the Vilas Tennis Academy established by former Argentine pro Guillermo Vilas. There too is the Elite Tennis Academy as well as the Tennis Academy Mallorca. And there’s the newly opened Rafa Nadal Academy by Movistar also located in Mallorca that is incidentally the home town of the current world number five who has 14 Grand Slam championships — and counting — to his name. The tennis academy is a long time coming for Nadal who has always enjoyed teaching youngsters and the school is his way of giving back to the game. So the Rafa Nadal Academy (RNA) opened its doors this past June with Briton Andy Murray and Indian rising star Adil Kalyanpur training there. It was Murray’s last camp prior to his Gold Medal run in the just-concluded Rio De Janeiro Olympics. 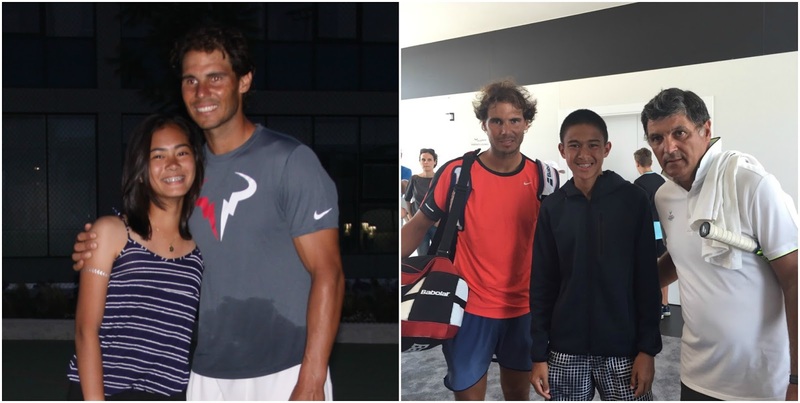 Among the 70 young hopefuls from 15 countries who participated in the RNA summer camp included two young, up-and-coming Filipino tennis players, Santino Vistan and Bea De Ocampo. Both Vistan and De Ocampo are 15-year old Grade 10 students at the Ateneo Grade School and the Assumption College respectively. As a testament to their talent, the two Filipino tennis hopefuls reached the finals of their respective groupings during the RNA summer camp tournament. “It was a great experience learning from some of the world’s best,” said De Ocampo. “The academy and its great facilities as well as the opportunity to watch Rafa train up close is a priceless experience." What makes the RNA unique is that it combines tennis and education so that its students can continue to pursue their path to a professional tennis career without having to neglect their studies. The academy has a supervised residency for its students and its academic curriculum is overseen by the American International School. Aside from its 26 regulation courts of different surfaces, RNA is also features a fitness centre, an indoor and outdoor swimming pool, and a seven-a-side football pitch. Nadal is a noted supporter of Spanish football giants, Real Madrid as well as his hometown team, Real Club Deportivo Mallorca. The entire RNA program and training system is wholly based on the experience acquired by Nadal during his years in the Association of Tennis Professionals (ATP) Tour where since he turned pro in 2001 has won 69 career titles. The RNA is run by Rafa’s uncle, Toni, who aside from guiding his career is the head of the academy, and former Spanish pro Carlos Costa who performs the twin roles as sports agent and technical director for the school’s camps. To the Filipino people, Nadal invited them to train in his world-class academy, “We hope to have a very good connection with the Philippines. Hopefully, more Filipino kids can go there so we can train them."